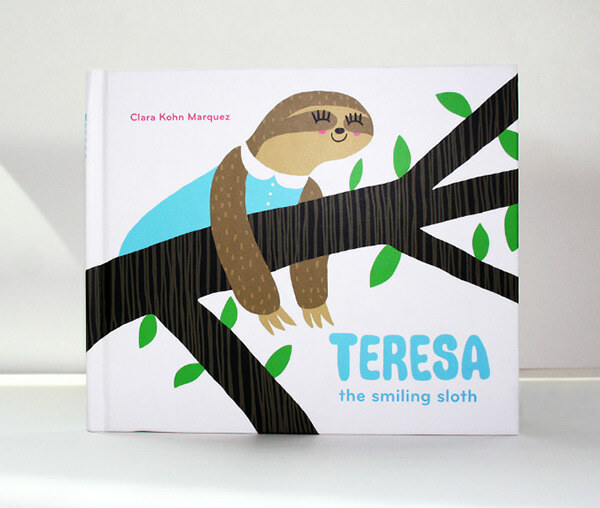 Teresa the smiling sloth is a children's book that I wrote, illustrated, and designed for my Graphic Design MFA Thesis. Teresa is a happy and innocent smiling sloth. Her home, a tree, was hit by a lightning bolt, and a few pieces go missing. Teresa is positive that she will find the missing pieces and reattach them to fix her tree. Along the way, she meets a toucan, a jaguar, an anteater, a tapir, and a capybara, all of whom, tell her she will never fix her tree. After all, she's a sloth, and sloths are slow, lazy, and sleepy. Will Teresa find all of the missing pieces — despite the negativity that surrounds her — and fix her beloved home? The book was inspired by the state of my home country, Venezuela. Hugo Chavez has been a leftist totalitarian president for the past fourteen years. Throughout his regime, he has reduced freedom of speech, inflation has soared, and the crime rate is higher than many countries at war. As a consequence, Venezuelans are negative and discouraged. 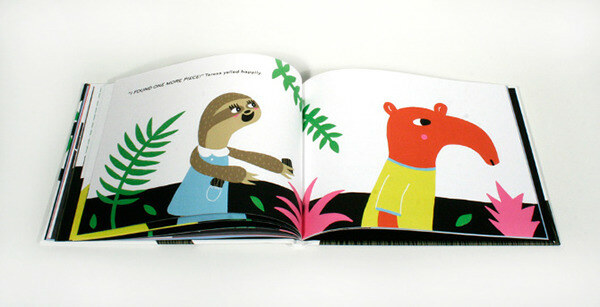 In my book, Teresa, the sloth, represents the hopeful youth. Teresa's home, the tree, represents Venezuela. 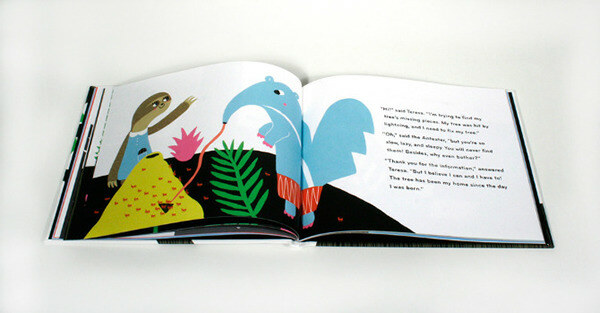 The lightning bolt that hits the tree represents Chavez, and the animals that Teresa encounters are the cynics. I hope Teresa will inspire children.